4k00:09Voronezh, Russia - Circa September 2018 : Underground automobile parking lot with columns and many cars in modern mall or shopping center. 4k00:14Car manufacturing facility and production factory. 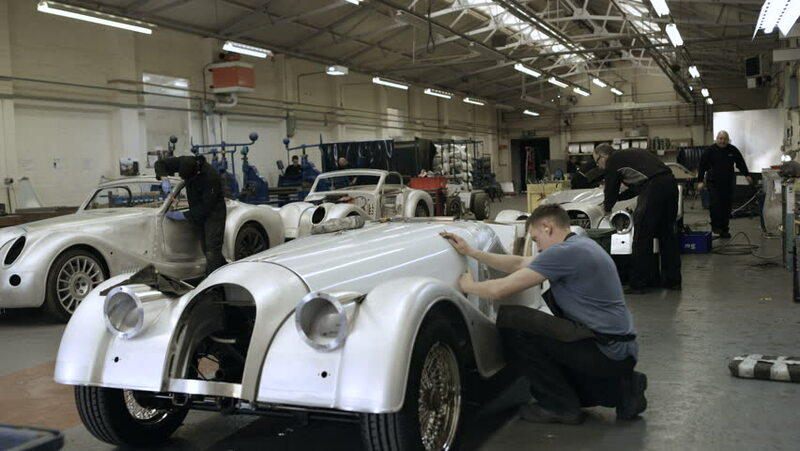 People working on sports vehicles.